Durable and waterproof, it's loaded with 25 fun sounds including a dixie horn, motorbike, UFO, police car, horse, magic spell, a lion's roar and even an old-fashioned bike bell! The sounds have 3 different volumes, plus it has white and green lights, with flashing or constant settings. 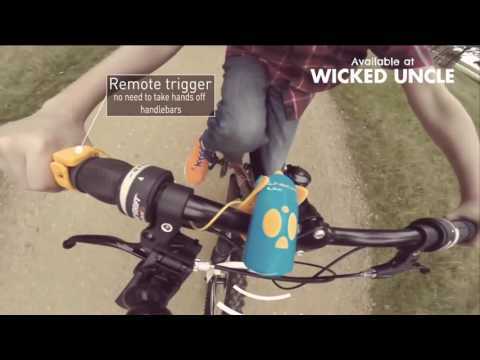 Attaches easily to the handlebars of any bike or scooter, with an optional remote trigger for bike handles, meaning you don't need to let go to sound it. Makes riding a bike even more fun!